(by Khadija Khan, Gatestone Institute) – Take note, those of you who want to see real women freedom-fighters. Look into the streets of Iran or listen to the chess champion Anna Muzychuk. 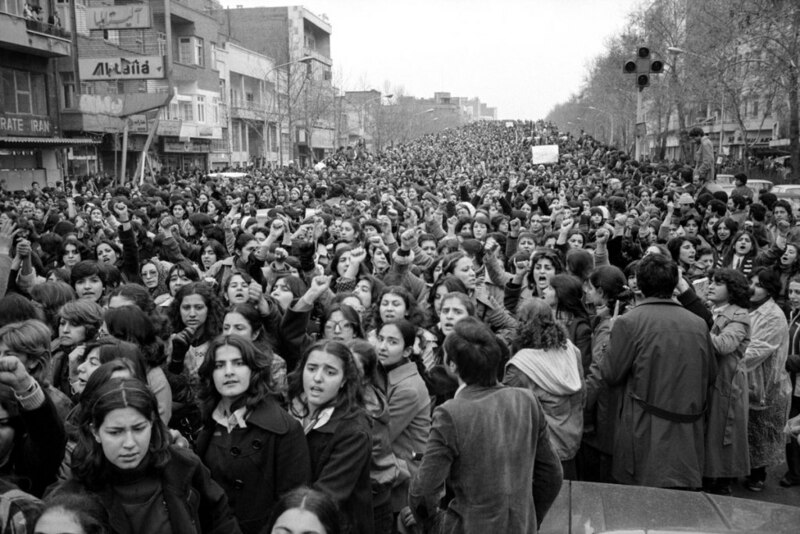 The desperate attempt of Iranian people pouring out onto the streets against the Islamist regime exposes the bitter life that Iran’s citizens, especially women, have been forced to live for nearly forty years in the name of Islamic law, (sharia). These demonstrations have also shown the ugly face of Islamists who take their own people hostage to quench their thirst for power — by repression, jail, torture, executions — any way they can. Iranian women, like many others, are sick and tired of living in layers upon layers of imprisonment. The regime in Iran clearly feels shaken by the resolve of these protestors: Iran’s leaders have promised to soften their misogynistic laws by not imprisoning women in Tehran who appear in public without their veils on. The protesters, however, do not seem to be buying this offer: they are seeking the full elimination of extremism in the country. There is clearly no more trust in the promises of this regime. The skeptics, in fact, are right. There is a catch. 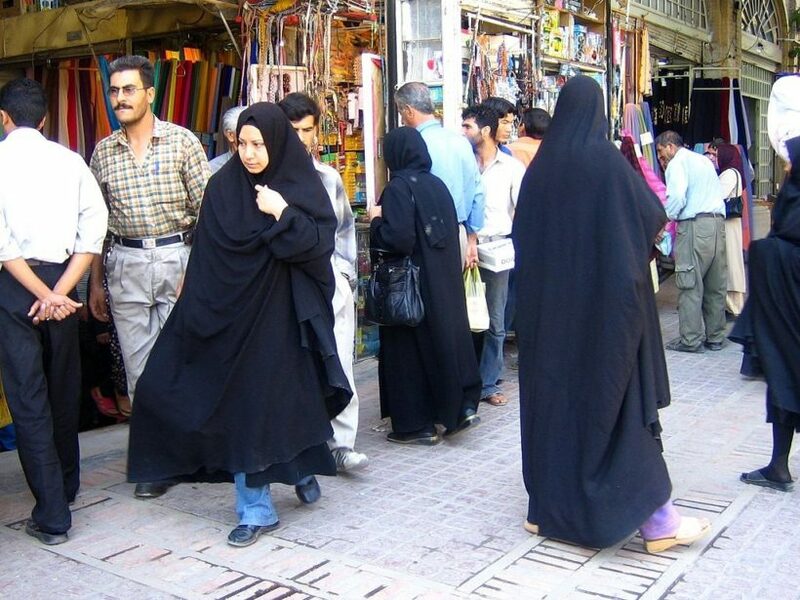 Although the regime announced that it would not arrest women who set aside Iran’s strict dress code, the regime also stated that these women would have to attend special “morality classes” by the sharia police. Now why would a regime want that? Could it be so that the regime can document these women to keep a watch on them? Such apologists simply serve as mouthpieces for these extremist regimes, which not only enslave their own people but also distort the economic and intellectual development of their people through a mindset of supremacy and hatred throughout global arena. When the organizers of the Women’s March in the U.S. cherry-picked “abuses,” they left a vast number of women behind, unnoticed and unwelcome, who have been subjected to inhuman treatment for centuries. These so-called “liberators” of Muslim women actually do enormous harm to women trapped in totalitarian societies, such as Iran and Saudi Arabia. In the name of Islamic law (sharia), these theocracies simply impose anti-woman rules. The courage expressed by Ms. Muzychuk is a rebuttal to religiously conservative societies regarding the bitter reality they inflict. It cannot be whitewashed away by pretty words, greedy purveyors of clothing, or disingenuous speeches. In her refusal to submit to the demands of Muslim extremists, this brave chess player has shown more about activism for real women’s rights in 2017 than everyone else combined. Most Muslim women, wherever they live, have to go through hell even to win a tiny bit of equality, freedom or respect from their own societies. They are subjected to harshly discriminatory legal and financial laws. They are officially worth, for example, “half the value of a man” if they testify in court (Qur’an 2:282; Sahih International) or in inheritance (Quran 4:11; Sahih International). They are often coerced into polygamy as one of up to four wives, and can be “triple-talaq” divorced by being told “I divorce you” three times (Quran, 2:222-286). They also may be married off as prepubescent girls, and stoned to death as “adulteresses” if they have been raped, unless four male witnesses to the incident testify to the contrary in court (how likely is that?). Such laws merely serve the interests Islamist spin-doctors and other extremist Muslims, by advancing their sharia-inspired agendas in the West. The “women’s rights” marchers in the West defended wearing the hijab while ignoring the daily abuse of Muslim women, such as honor killings, male guardianship, forced marriages…abuse of women by religious institutions such as Sharia councils, so popular in the UK, and sham practices such as halala. Due to the rigid and never-changing norms of Muslim societies, these women have been denied their basic rights to self-determination and a free life. The world should be supporting the struggle of Iranian protesters in their courage to challenge these extremist Muslims up front. The people of Iran, unlike their counterparts in Egypt and Libya, are trying to get rid of a rigid, totalitarian theocracy and replace it with a democracy. For countless women in [Islamist] societies, freedom still remains a dream. It is high time for the world to start tackling the real issues of women’s rights head-on. Published January 2, 2018 at gatestoneinstitute .com. Reprinted here January 11, 2018 for educational purposes only. May not be reproduced on other websites without permission from Gatestone Institute. 1. The purpose of an editorial/commentary is to explain, persuade, warn, criticize, exhort, entertain, praise or answer. What do you think is the purpose of Pakistani journalist Khadija Khan’s editorial? Explain your answer. 2. Compare the men and the women’s attire in the image at the top of the article. What do you think about the way each group is dressed? 3. Tone is the attitude a writer takes towards his subject: the tone can be serious, humorous, sarcastic, ironic, inspiring, solemn, objective, cynical, optimistic, critical, enthusiastic…etc. Which word do you think best describes the tone of the commentary? Explain your answer. 5. What encourages you most about Ms. Khan’s commentary?